Clearly and consistently communicate about the change well in advance of its implementation. Help employees better understand the need for the change and the rationale behind the decisions, as well as the ways the change may affect them. 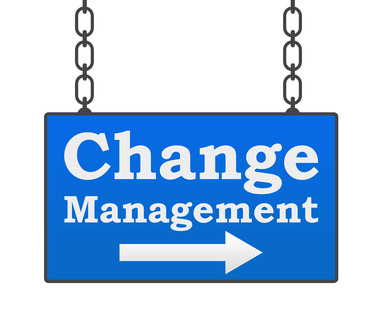 Ensure that your change management team includes change champions who can help spread positive messages about the change, as well as take the temperature of employee reactions to the change. Provide strong support for the changing environment, such as ensuring that managers are provided with the training and information they need to answer employee questions. Developing a team approach that includes employees’ perspectives from a variety of departments and levels. Assigning and clarifying roles and responsibilities. Increasing your focus on the workers who are affected most by the change. Including resistance leaders in the change process to help overcome pushback from other employees. Understanding and taking into account the different motivational factors for each employee. Prepare for change – By taking steps such as defining your change management strategy, developing your change management team, and outlining key roles. Manage the change – By creating and executing change management plans that include communications, operations and resistance management. Reinforce the change – By collecting and analyzing feedback and then implementing corrective actions where needed. Pre-and post-surveys allow for feedback both before and after the change has been implemented, which can enhance the overall process. Engage resistors in one-on-one sessions prior to the solution’s implementation to allow them to provide their input. Be clear, consistent and explicit, especially when it comes to timeline and responsibilities. Use both formal and informal communication approaches, including email, intranet, in-person meetings, signage and voice mails. Offer opportunities for employees to provide feedback into the process, and then be sure to use the input to inform the plan. Gather employees to explore worst-case scenarios and then develop strategies to address them. Stacey M. Browning is Executive Vice President with Paycor, the largest privately held payroll processing and human resource systems company. During her more than 20 years with the company, she has had responsibility for Information Technology, Product Management, Operations, Marketing and Training. In 2013, LEAD magazine awarded Browning with their inaugural C-Suite Award for strategic leadership impact. Contact her at sbrowning@paycor.com.